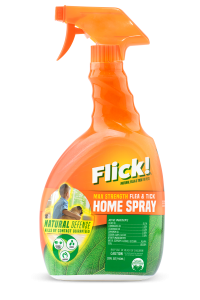 Flick! 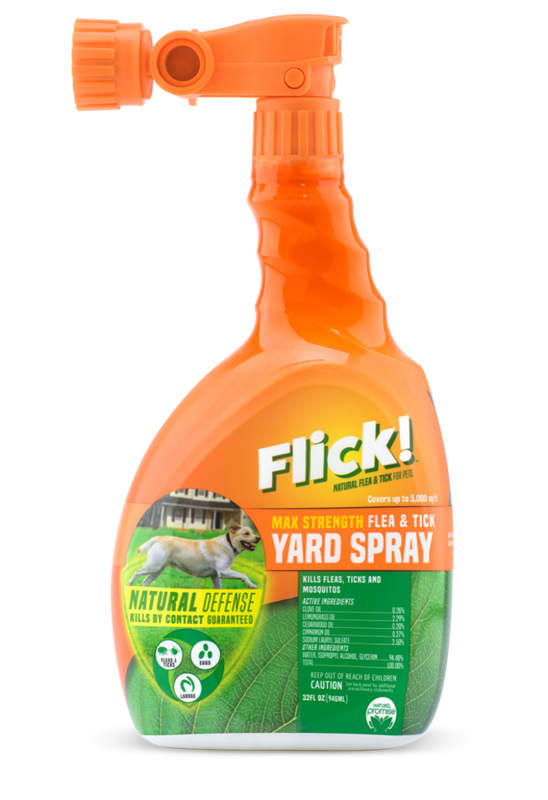 Max Strength Flea & Tick Yard Spray is an effective flea & tick treatment made with natural ingredients you can trust. 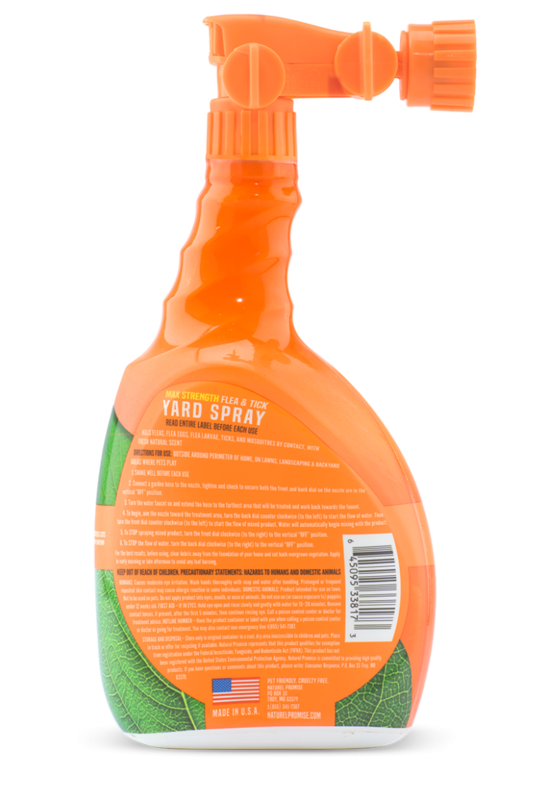 The Max Strength Flea & Tick Yard Spray covers up to 5,000 sq. 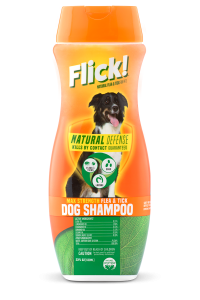 ft and kills fleas, ticks, mosquitoes, spiders and more by contact, guaranteed. 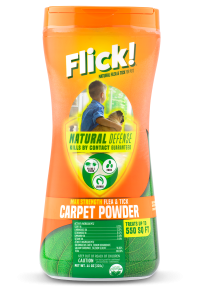 The natural blend contains nature’s most powerful pest fighting ingredients, maximized with lemongrass and sesame oi, for long-lasting effects. 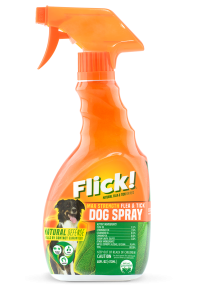 Safe for use around dogs. Outside around perimeter of home, on lawns, landscaping and backyard areas where pets play. SHAKE WELL BEFORE EACH USE. Connect a garden hose to the nozzle, tighten and check to ensure both the front and back dial on the nozzle are in the vertical “OFF” position. Turn the water faucet on and extend the hose to the farthest area that will be treated and work back towards the faucet. To begin, aim the nozzle toward the treatment area, turn the back dial counter clockwise 9to the left) to start the flow of water. Then turn the front dial counter clockwise 9to the left) to start the flow of mixed product. Water will automatically begin mixing with the product. To STOP spraying mixed product, turn the front dial clockwise (to the right) to the vertical “OFF” position. To STOP the flow of water, turn the back dial clockwise (to the right) to the vertical “OFF” position. To STOP the flow of water, turn the back dial clockwise (to the right) to the vertical “OFF” position. For the best results, before using, clear debris away from the foundation of your home and cut back overgrown vegetation. 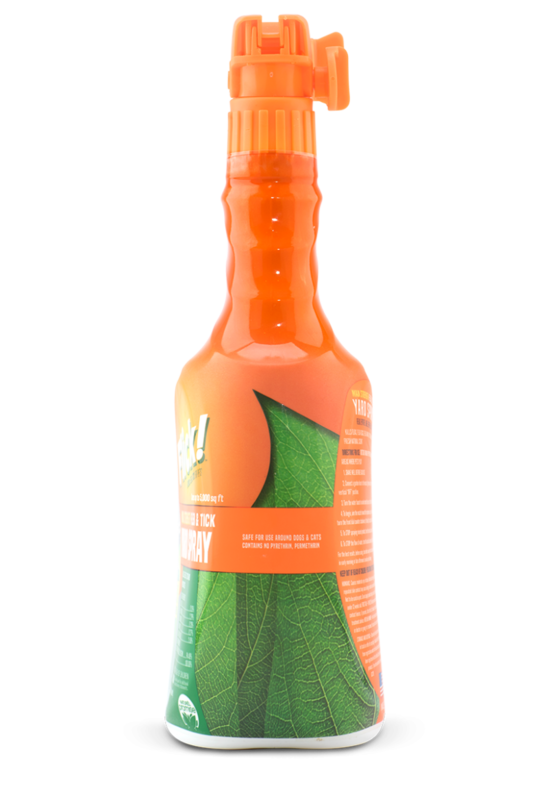 Apply in early morning or late afternoon to avoid any leaf burning.